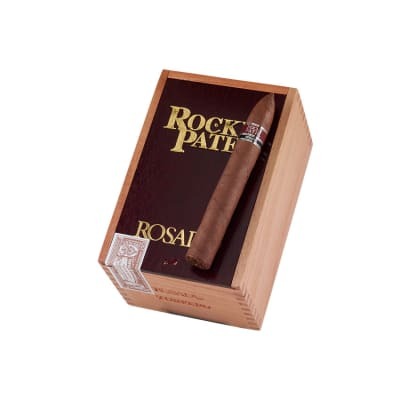 Rocky Patel American Market Selection Torpedo premium cigars present a hefty, medium-bodied cigar blended with extra long-aged Nicaraguan and Honduran longfiller tobaccos tamed by a mild, silky, Ecuadorian Connecticut wrapper. The smoke is creamy with a sweet, cedar-aged flavor on a clean finish. 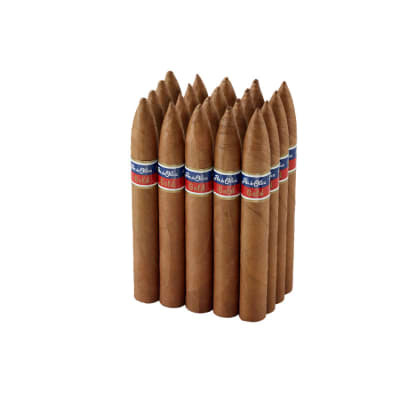 These cigars are always consistent in construction, burn, draw, appearance, and taste. 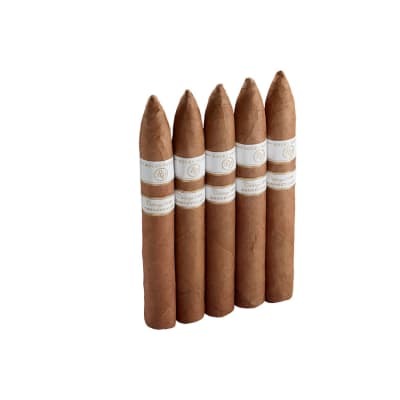 They're pretty good cigars that produce voluminous smoke with a perfect draw. The taste is smooth and creamy though a bit one dimensional. Still, it is better than many cigars that sell for much more, and I like them as an every day cigar. I've never had a bad one, and beginners, especially, usually like these cigars. Great Mild Smoke at a Better Price! Got my first box of these and have not been disappointed! This is a great cigar with a cup of coffee first thing to star the day. Great burn , beautiful ash !! This cigar has the most beautiful burn and ash formation of any cigar I have ever smoked . 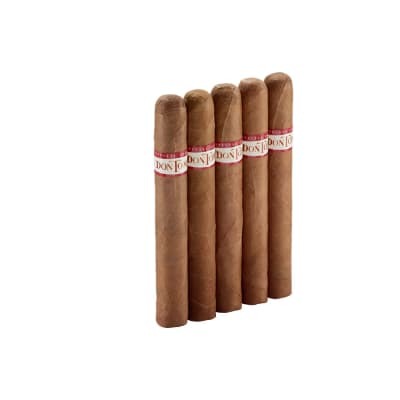 I have tried the robusto and torpedo and they are the same and consistant throughout the box . I have been anxious to share and my friends say the same thing . Good job Rocky !! Superb aroma, excellent flavor, easy draw! This is my new every day favorite.